Bob Peters is actually a Charlotte native, which makes him as rare and as special as the libations you will find behind his bar. With strong Southern roots, Bob is well-known for his creative palate as well as for his ability to entertain. 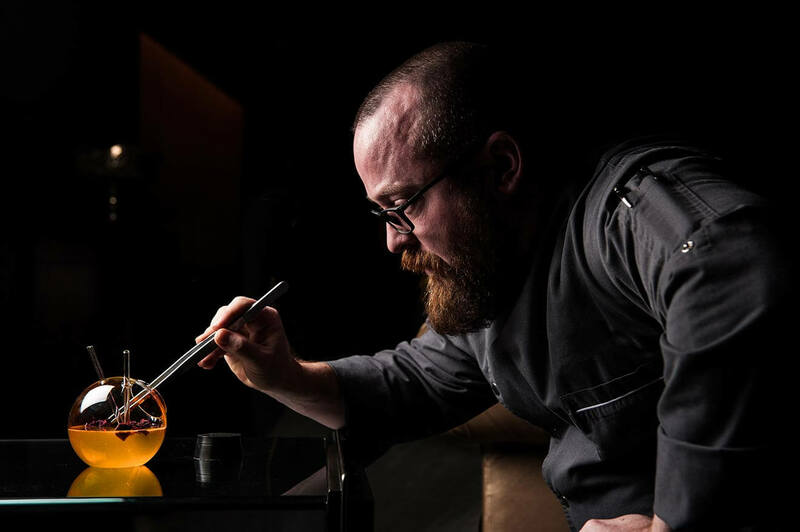 Bob has won numerous awards including the 2015 Global Bartender of the Year for The Ritz-Carlton Corporation. He’s been featured in an international culinary magazine as well as countless local and regional publications. In 2016, he accompanied some of the most elite chefs from Charlotte to the coveted James Beard House in New York City to present a “Taste of Charlotte” dinner to the Big Apple’s food fanatics. 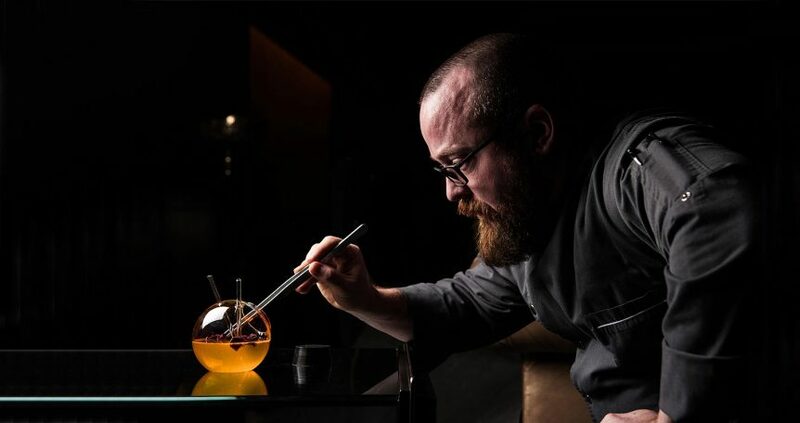 For the past two years, Bob has been a featured mixologist at the highly acclaimed Cayman Cookout food festival hosted by Eric Ripert, Jose Andres, and Anthony Bourdain, as well as the featured talent at the Charleston Wine & Food, and the Atlanta Wine + Food Festivals. When you join Bob for a cocktail, be prepared to be carried away on a journey sure to delight the senses. Chilled caught up with Peters to find out about his new consulting agency. Tell us about your new consulting agency. I have over twenty years experience in the bar and restaurant industry. I’ve traveled halfway around the world to learn more about spirits, and pretty much have seen everything you do and don’t want to see from behind the bar. That experience and knowledge is something which I love sharing with others to help create that successful edge to achieve your goals in such an incredibly competitive market. Talk to us about the cocktail menu development aspect of your agency. I don’t have to tell you how important it is to have an amazing cocktail menu. People have come to expect a fresh, beautiful, well-crafted cocktail. Not only can cocktails help create a unique experience for guests but they can help with check averages and the bottom line for owners/operators. That being said you have to have a cocktail menu that makes sense to your establishment. If you are in a high volume situation the bartenders don’t need to be hand carving speciality ice cubes per order, but there are things that can be done that doesn’t slow down service. This is why cocktail menus are so vital to operating a successful bar program. My agency can customize a cocktail list tailored to your scenario, whether it’s high-volume or high-end hand-crafted cocktails, and everything in between. How about the staff training element? Staff training is another specialty of my consulting business. If you have an amazing staff who is knowledgeable, friendly, and excited about what they are selling, then you will have a much more successful business. The history of spirits, the origination of cocktails, the exploration of different techniques, and the concept of pairing cocktails with food can be quite fascinating. We all know that education is such an important part of providing unparalleled customer service. What most don’t take in to consideration is HOW you educate. I believe you get what you give in life and my unique and exciting teaching approach provides staff with the tools in which they need to be successful all while having a great time learning. Maintaining the fun factor in teaching is so important. Hiring the right people is also incredibly important. My years of experience in many different styles of bars help me to know how to place the ideal team members within the best-matching programs. The staff is what ties a guest to a business through emotional attachments. I have customers who will wait for seats at my bar instead of sitting somewhere else immediately just so we can have that one-on-one time together. Even in my days at the neighborhood pubs, I could relate to my customers. Connecting is key. There are so many simple ways to make your guest feel special and valued. That is actually what the hospitality business is all about. Through my staff training program we work together to create and educate your dream team. What inspired you to start your own business as a consultant? It is second nature for me to help people. My consulting business is a way to help with something in which I have expertise. I finally made the leap to open my own consultancy firm because I had so many requests for help and sound advice. I wanted to be able to expand the number of projects I could take on. We love to travel and so many opportunities have presented themselves both internationally and in the United States. I am now free to build even more relationships and follow my dreams. Building a successful business is like building a house. In order for it to work well you have to start with a solid base foundation and everything else follows. What advice do you have for other bartenders who’d like to follow in your footsteps? You have to love the quest for knowledge and have a passion to make people happy. If you have those two things and so much experience that you see “simple” fundamental mistakes that other people make over and over again, then you are ready. What has been your most rewarding part of starting the business thus far? Helping good people achieve their dreams. Visit Bob Peters Innovative Cocktails & Consulting at BobPeters.net. Follow Bob on Instagram, Twitter, and Facebook.